This knife has a comfortable angled anti-slip grip with a soft finish for a firm grip. 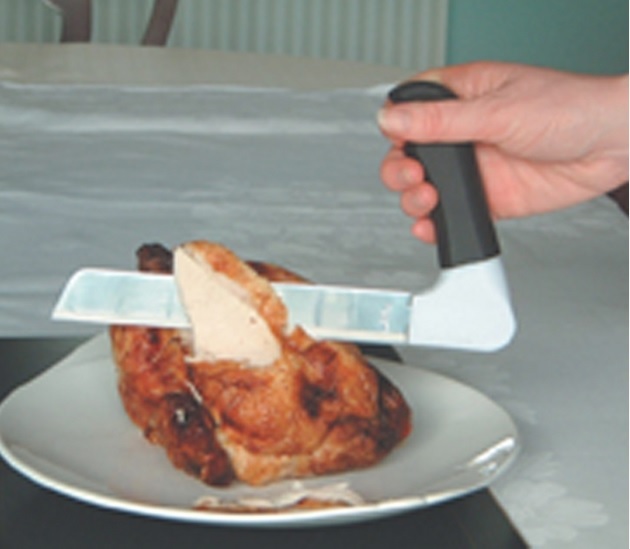 The angle of the handle is 90°, and holds the hand and wrist in a natural position. The blade is light weight and of stainless steel.